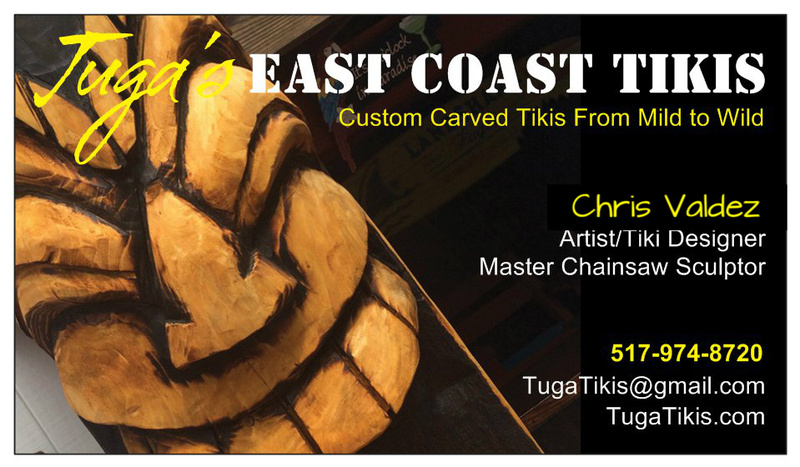 Tuga's East Coast Tikis: New Tiki Started. Progress Piece. Just started this guy today. He will stand 3 1/2' tall when done. This guy is small enough that I can work on him inside, which is a good thing because it is only 18 degrees outside today. Once I have him wrapped up I will get back outside in the tiki shack. 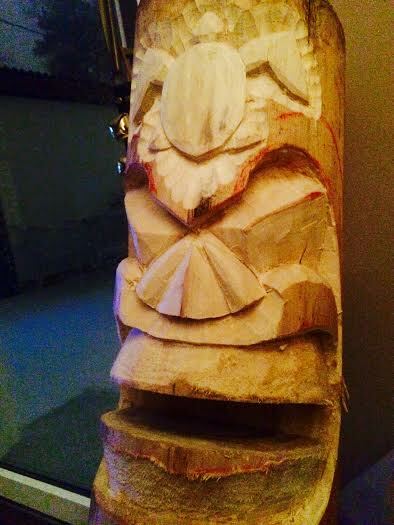 I have a tiki there I need to finish up, then I have a 5' tiki that I will be starting. Aloha, and think warmer weather.